Last night was monumental. A night we’ll remember forever. 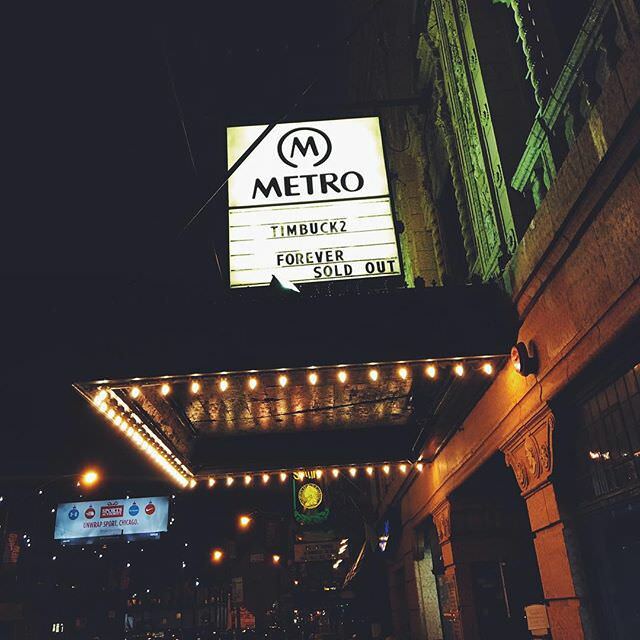 The world (and Chicago, of course) came out to send off DJ Timbuck2 in style, with the official #Timbuck2Forever tribute show at the Metro. Not only did the event sell out, but artists and DJs from across the country showed up to support Tim’s life and legacy — and all proceeds will be given to Tim’s family and foundation. Just Blaze, De La Soul, Vic Mensa, Twista, Juice, GLC, YP and numerous artists joined the esteemed list of DJs including Boi Jeanius, Mano, Pharris, Nonstop, Mustafa Rocks, Flipside, DJ Word, Metro, Madd Jazz, Big Once, V-Dub, Rude One, Trilogy, Mattboywhite, Izzo, Jay Illa, CTA, IBHappy and DJ Roc for an action packed event. The love could be felt inside the friendly confines of Metro last night, as Tim’s spirit loomed over the room. 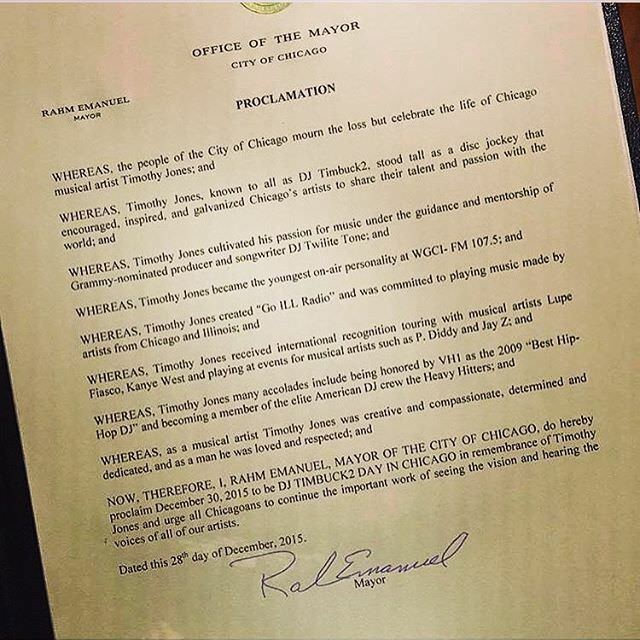 We’ll have some additional footage and pictures later today, however, we had to share the biggest news of the evening, which is the City of Chicago now recognizes December 30th as DJ Timbuck2 day in Chicago. The honor was presented to Timbuck2’s brother, who was on hand to accept the certified document signed by Mayor Rahm Emmanuel. So from this day forward, December 30th will forever be known as Timbuck2 Day — a reason to celebrate in itself.